WHAT IS NJS? AND WHAT IS THE BIG DEAL? In 1957, the Nihon Jitensha Shinkōkai (NJS; also known in English as the Japanese Keirin Association) was founded to establish a uniform system of standards for the sport in Japan. Today keirin racing is regulated by the JKA Foundation. These parts are made to last, take a beating and also look beautiful. The Crafty Pedal hand picks hard to find new and used certified NJS parts readily available. 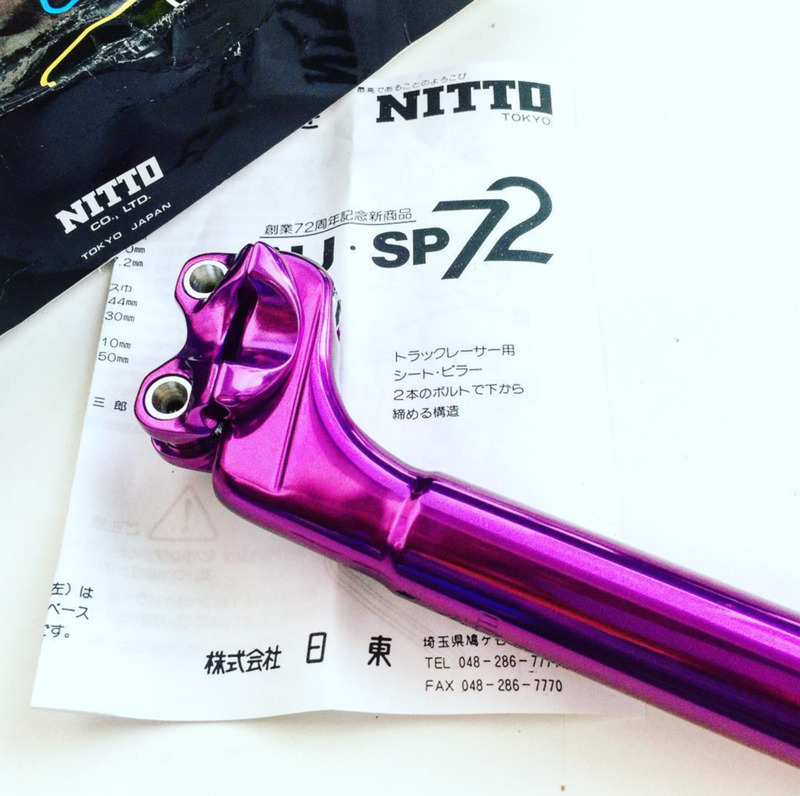 From Frames to Cranks, Headsets, Stems, Seats, Hubs, Rims, Seat posts, Pedals, Bottom Brackets and Chains, we can build you an all NJS bike or help you add some style and bike snob class to your bike.